Proper dental care is something that should be a priority at every age. Even with the best at-home habits, professional dentistry is always necessary to maintain the condition of teeth and gums. If you're looking for a family dentist in Wheaton, IL, who can help you maintain the health and beauty of your smile, look to Wheaton Dental Clinic. Our practice is proud to serve the needs of patients throughout every stage of life. From childhood to adulthood, the dental experts we employ continue to deliver exceptional care every step of the way. By developing personalized dentistry plans for all of our patients, we are able to deliver personalized work perfectly suited to the unique needs of each family member. Are You Searching for a Local Dentist? Choosing a dentist can sometimes be a challenge. Whether you are concerned about comfort or convenience, you can rest easy entrusting the dental care needs of the whole family to our trusted team. With more than 23 years of hands-on experience, our founding dentist understands just how important it is to provide each patient with the attention they deserve during every appointment. This is why she handles your dental work from start to finish. We never pass patients off to other team members in the middle of an appointment. 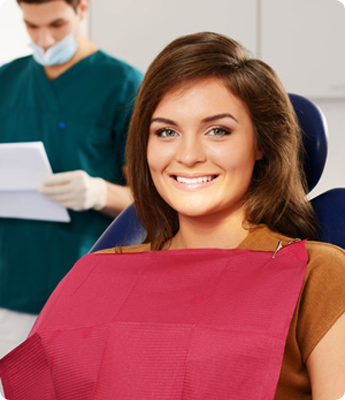 Even routine cleanings and exams are handled by our leading dentist. A lot can change in a year, including your oral health. This is why our family dentist recommends patients come in for annual checkups and cleanings. Routine appointments like this allow us to identify potential problems that may plague your smile. In order to keep disease and decay at bay, we take preventative measures perfectly suited to your situation. Should you already be experiencing dental issues, you can depend on us to deliver treatment that restores your smile to a state of complete health. Now is the time to make a dental appointment at our reputable practice. We accept almost all major insurance plans, and even offer flexible payment plans for those who need extensive work. If you're ready to become a patient of Wheaton Dental Clinic, don't hesitate to set up an appointment with our family dentist at your earliest convenience. Contact us, and don't forget to ask about the special offer for new patients. We proudly serve families in Wheaton, Glen Ellyn, Carol Stream, Winfield, and Naperville, Illinois.